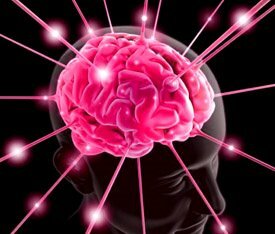 Why great minds can’t grasp consciousness | eWakening now! It wasn’t that long ago that the study of consciousness was considered to be too abstract, too subjective or too difficult to study scientifically. But in recent years, it has emerged as one of the hottest new fields in biology, similar to string theory in physics or the search for extraterrestrial life in astronomy. Instead of trying to reduce consciousness to something else, some scientists suggest that consciousness should simply be taken for granted, the way that space and time and mass are in physics. But other researchers find this view unhelpful and suggest that consciousness is an emergent property of the brain, similar to the ‘wetness’ of water or the ‘transparency’ of glass, both of which are properties that are the result of the actions of individual molecules. This entry was posted on July 2, 2009 at 7:54 am and is filed under brain. You can follow any responses to this entry through the RSS 2.0 feed. You can leave a response, or trackback from your own site. It is the “wholeness issue” that I will now address with my explanation of self-consciousness and the integration of QM with Relativity. Thanks for the opportunity to post. When a “new standard model,” one that integrates the the physics of QM and Relativity is discovered/created, then the consciousness physics connection will loose or gain creditability. But, after 90 years of struggling to merge the physics of determinism and indeterminacy (by the smartest people in the world)–I am no longer holding my breath. The solution to the problem, for me at least, will not be found in consciousness nor in some future string theory; rather, the solution to this problem is found in the continuity/discontinuity structure of logical implication. In other words, at the source of what it means to be a thinking human being lies the solution to the discontinuity/continuity problem! What follows is an extract from my blog entitled: We, Unlike The Rest Of Nature, Stand As A Problem To Ourselves. [Similarities, dissimilarities, categorization, and particularization emerge from logi with their negations. Embedded in the set of differences out of which a particular arises, we find negation. Billig describes this condition, in the context of the rhetoric of argumentation, when he says: “Since the loci of arguments (the claim to essential set of differences) represent basic forms of thought, negation is a basic, even essential, characteristic of the thinking.” Nowhere is this clearer than in the agency of the implicative affirmative of the not-me-self. If it were not for the implicative affirmative of the not-me-self we would lack the capacity to: 1) become an “object” to ourselves, 2) access reflexive thought processes and self-narratives, and 3) make manifest the reflections that are most characteristically human. [The same attributes (discontinuity, indeterminism, and non-locality) that characterize self-consciousness characterize also the “double negation” that serves as the ground of freedom. Both of these “forms” generate implication. At “ground” implication remains open, while in self-consciousness, implication opens up the human world-historical-process. In other words, the negation that lies at the center of self-consciousness, the negation that permits our capacity to solve mathematical equations, lies also at the “ground level” of our experience with quantum physics. Because observation takes place in the space of continuity, determinism and locality– self-consciousness’s negative space— there is an unavoidable clash of worlds—the world of continuity, determinism and locality (relativity) clashes with the world of discontinuity, indeterminism, and non-locality (quantum physics). Bottom line—the theory of relativity accurately describes natural phenomena. Einstein’s equations, when applied to the world of physical events, provide accurate information concerning our status as participating agents in the physical universe. Likewise, quantum mechanics accurately describes natural phenomena. Only the phenomena being described are “fuzzy” because, as it is throughout freedom’s dialectic, the space that separates also embeds and connects. In other words, on the quantum level, self-consciousness confronts its own ground condition in the form of the “phenomenal strangeness” of quantum physics.